A, B, C, D, E, F, G, H, I, J, K, L, M, N, O, P! I’m not going through the alphabet. Some of these letters represent the names of vital vitamins and amino acids our bodies need whether you wanna be in tip top shape, or just healthier in general. And let me tell you, contrary to popular belief, there isn’t a single person out there that won’t benefit from a multivitamin supplement. In the next several hundred words, I will break down the importance of certain vitamins, their uses, and how you can obtain them through certain foods. You don’t need me to tell you that a healthy living starts with exercise and proper nutrition. But despite trying to make healthy food choices and hitting the gym, the average American may not get the nutrients their bodies need for optimal health and athletic performance. That’s where a multivitamin supplement comes in. For example; Vitamin A is found in foods like carrots, sweet potatoes, red pepper, lettuce, and dried apricots. Several more of course, but in order for the body to get the adequate amount of vitamin A it needs, you’d need to chow down more than a handful of these ingredients. Most of us don’t have the time, nor the appetite for that. What do you do? My multivitamin supplies me with 100% of daily value vitamin A, I need in order to sustain a healthy balance of nutrients. If you are a gym junkie like myself, a multivitamin supplement will help aid you with amino acids that play a pivotal role when it comes to either muscle building, or losing weight. 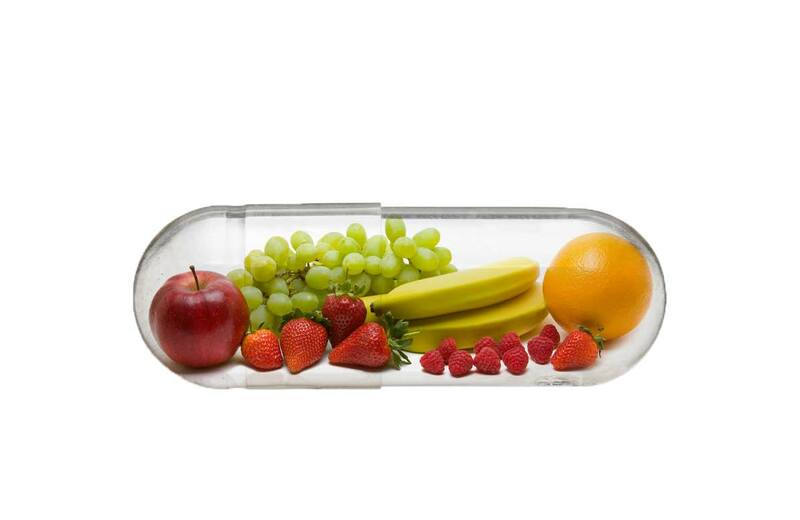 Some multivitamins out there are enhanced with electrolytes which help regulate body fluids. Intense exercise can deplete the body’s store of valuable electrolytes, leading to muscle cramps. Make sure the multivitamin you choose comes with a variety of amino acids, such as L-glutamine and L-arginine. One of the many benefits of glutamine is muscle recovery. And the most important benefit of L-arginine is, sexual health. Yes, that’s right folks! I don’t own a multivitamin company, nor do I work for one. I’m just a good samaritan, a public informer if you will, on how to live and be the best you can be. Now, can you get the nutrients, vitamins, amino acids, you need without multivitamins? Sure! But you’re gonna have to eat a hell of a lot more than just cabbage and apples. If you’re not up for taking any multivitamins, you can try a whole foods blend. That aught a get you the vitamins your body needs. Personally, I take multivitamins because it makes me feel good. I’m not a doctor, i’m just a health freak. So I take my multivitamin each day, and my mind is at ease. Do I necessarily feel any different? Perhaps not. But i’m guessing my body is thanking me each day. You see, i’m a fitness guy. So when im on my strict diet, the beast mode diet, I don’t eat certain things. By not eating certain things, i don’t get the proper nutrients my body needs. So by taking a multivitamin, i ensure my body is getting the right about of vitamins it needs for me to kill my workout day in and day out. If you aren’t sure about what you’re getting yourself into, i recommend you trying it out for a month or two. See how your body feels. Everyone is different, so you gotta find what works for you. Careful though, don’t go taking the wrong multivitamin now. There are different kinds for men and women. Wouldn’t want you to raise your estrogen levels and become an emotional wreck. I recommend for men, the “Mega men Sport” from GNC. Again, i don’t work for them or own the company. I just use it, and it works for me. For women, try taking a multivitamin that will stabilize your estrogen levels and keep you in the perfect mindset so you can keep glowing like you always do. Finally people, a good multivitamin should have the perfect daily dosages of variety of vitamins. A good amount of amino acids, and a good blend of antioxidants from different fruits and vegetables. Whether you are an average joe trying to get healthier, or an athlete striving to be the best, the right multivitamin can do more good than you might think. So go for it, and see how it works for you!